Bronllys castle is a late 11th century or early 12th century motte and bailey fortress with 13th century round stone keep, standing just outside of Talgarth, Powys. The castle was granted to Walter de Clifford by Roger Fitzmiles, 2nd Earl of Hereford. Walter seems to have been responsible for building the round tower on the motte for in 1165 it caught fire and a stone tumbling from the battlements killed Earl Roger's last surviving brother Mahel de Hereford. In September 1233 Walter III de Clifford had a force of over 200 men here defending the castle against his father-in-law Llywelyn ab Iorwerth. The castle passed from the Cliffords to the Giffards and eventually the de Bohun Earls of Hereford. The castle was additionally fortified against Owain GlyndÅµr during the early years of his rebellion in the early 15th century. 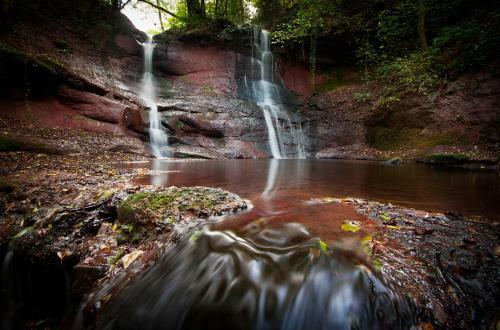 Walesdirectory.co.uk, where you can find where to go, what to see, and where to stay in Talgarth Wales.